This recipe is going to maybe make some of you who know me raise your eyebrows. A cookie, with coconut? Gasp! Yes. It's a cookie, with coconut. But coconut OIL, which makes all the difference. Yes, I am NOT a fan of coconut. I suppose I don't mind the flavor and smell of it so much as the texture. Any kind of coconut flake or shaving? I will steadfastly wrinkle my nose and say no thank you, no sir, not for me. However, coconut liquids baked into things? Not so bad. Take these cookies, for example. The coconut oil gives them a slightly different flavor than if you used butter, but it's not really distinctly coconut. I'm not sure quite how to explain it, really. These cookies have a depth to their flavor, rich, deep, and, though this isn't a flavor, oh so soft. They get their softness not only from the addition of the coconut oil, but also the addition of the corn starch. 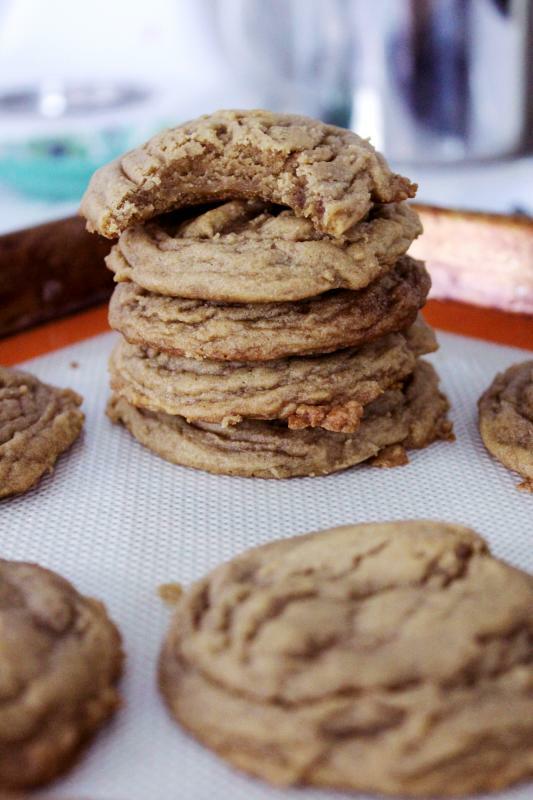 Corn starch is really a miracle worker when it comes to soft cookies, let me tell you. 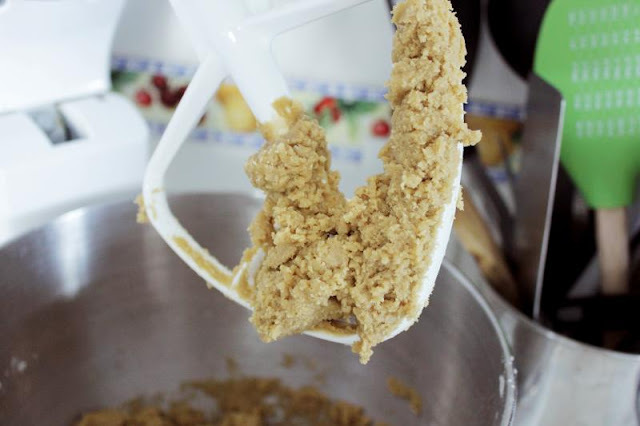 Add some in to most any cookie, and you're going to have something that is thicker and softer around the middle. These disappeared really quickly at my house. Of course, they don't make a ton either, so that's probably a good thing. They're best the first couple of days, then do start to dry out the tiniest bit. A note on the coconut oil consistency when baking! Now, when you keep it in your cupboard, it can end up in a variety of different consistencies. Maybe it's rock hard. Maybe it's completely liquid. Or maybe it's that magical zone in between. It's that magical zone that you're looking for, but if you are at one or two of the extremes, don't despair. You can give it a quick zap in the microwave if it's too hard, or stick it in the fridge if it's too liquid. I recommend the fridge over the freezer, as the freezer tends to freeze the outer parts to rock hardness while the inner stays liquid. The fridge will firm it up to the right consistency in about 10 minutes-ish. 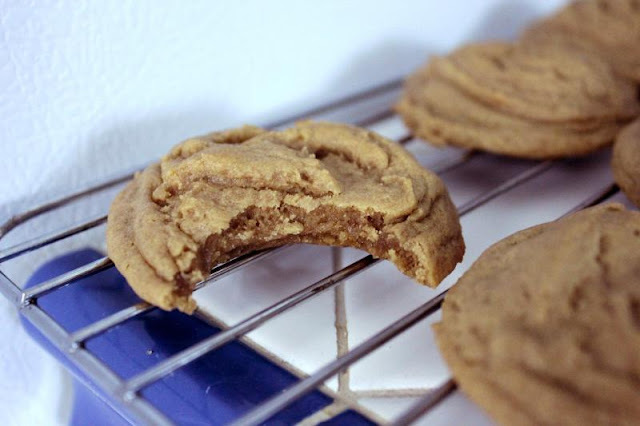 Fluffy brown sugar cookies that are slightly healthier by using coconut oil instead of butter. 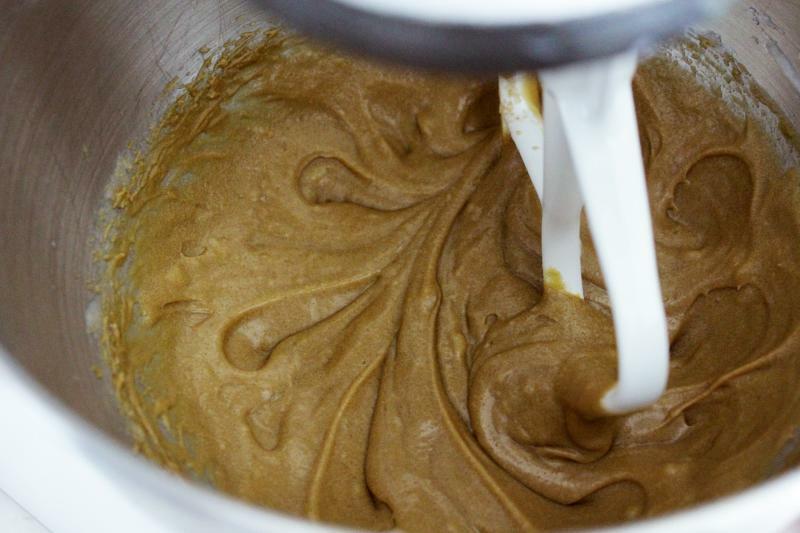 In your mixer, beat together your coconut oil, egg, and sugar and beat on medium-high speed to cream until fluffy and light, about 4-5 minutes. A note on the coconut oil consistency - you don't want it rock hard, and you don't want it liquid. If it's rock hard, just nuke it in the microwave for about 5-10 seconds. If it's completely liquid, put it in the fridge for about 15 minutes (the freezer gives it a hard edge and a liquid center which isn't quite what you want). Add in the vanilla and molasses and beat to incorporate, about 1-2 minutes. Add in the flour, corn starch, baking soda, salt and mix on low until just combined, about a minute. You're going to need to chill this, so to make it easier on yourself, you want to pre-scoop your dough into cookie sized plops. I use a cookie scoop for this. Stick your dough bits, on a plate wrapped in saran wrap if you like, for at least two hours. Preheat the oven to 350°F. 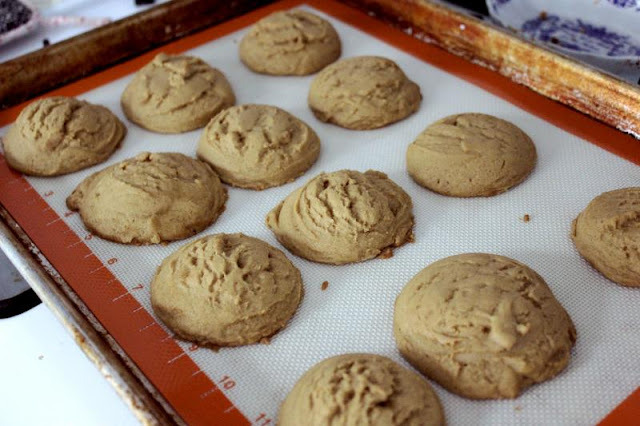 Line your baking sheet with a silicon mat, parchment, or spray with cooking spray. 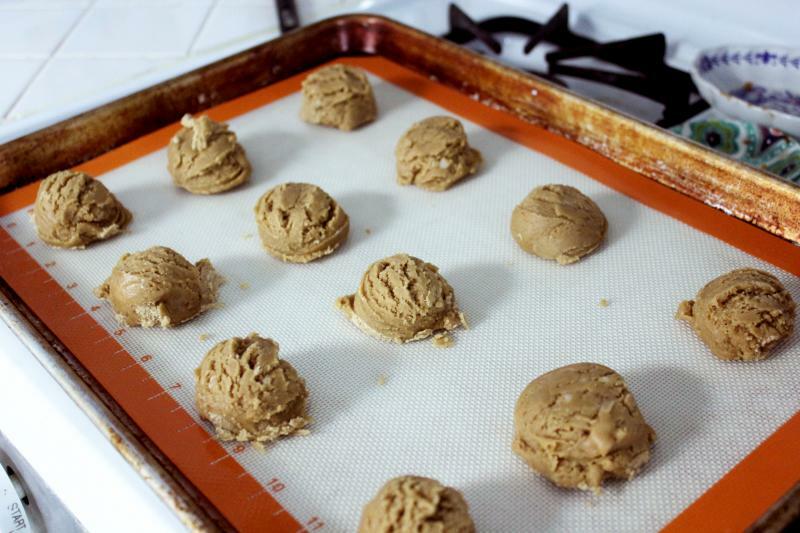 Put your dough about 2 inches apart on the sheet, and bake for 8 to 10 minutes. They won't be browned or anything, so don't overcook. Let sit on the pan for 5-10 minutes as they will cook a bit longer on the sheet. Keep for later or gobble immediately! Mix up your wet ingredients. Sugar, coconut oil, egg. Beat for 4-5 minutes, then add in your molasses and vanilla and beat for another couple. Next are your dry ingredients. Flour, corn starch, baking soda, salt. Beat for another minute on low. 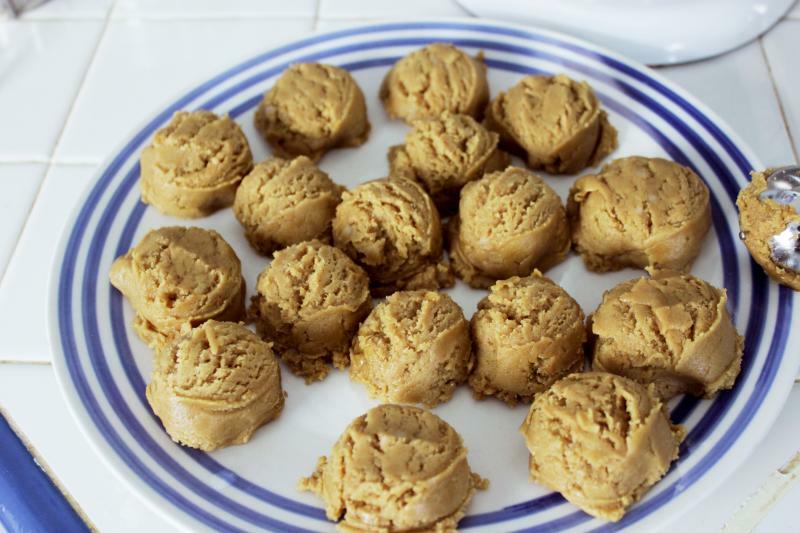 Scoop your dough out onto a plate, cover with saran wrap, and stick that in the fridge for a couple hours. 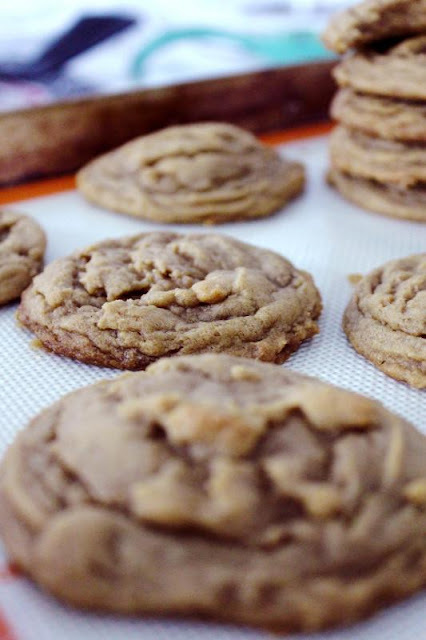 Preheat your oven to 350F, then bake up your cookies for 8-10 minutes on a silpat-lined pan. Let them sit on the pan for another 5 minutes to set up and finish cooking. Bite in to that baby! You will eat these really quickly, I promise. Even though they last for days and days, they won't really last that long at all.